Home Tags Posts tagged with "david nabarro"
Dr. David Nabarro, the UN’s senior system coordinator for Ebola, says he hopes that the outbreak can be brought under control within three months. People were becoming aware that isolating those infected was the best way to prevent transmission, he added. So far, there have been more than 8,300 confirmed and suspected cases of Ebola, and at least 4,033 deaths. Most fatalities – 4,024 – have occurred in the West African countries of Guinea, Liberia and Sierra Leone. Cases have also been reported in Nigeria, Senegal, Spain and the US. In a recent interview, David Nabarro said that the number of new cases was “quite frightening”, as the spread of the disease was currently accelerating. At the beginning, many West African communities did not understand that the outbreak was an infectious disease, David Nabarro said. “I think we’ve got much better community involvement [now] which leads me to believe that getting it under control within the next three months is a reasonable target,” he told BBC. The Ebola virus is spread by direct contact with the bodily fluids of an infected person or animal. Meanwhile, New York’s JFK airport began screening passengers from Liberia, Sierra Leone and Guinea for the Ebola virus on Saturday, in an attempt to stem the outbreak. Passengers from those countries will have their temperatures taken and have to answer a series of questions. Checks at O’Hare in Chicago, Newark, Washington’s Dulles and Atlanta’s airport will begin in the coming days. 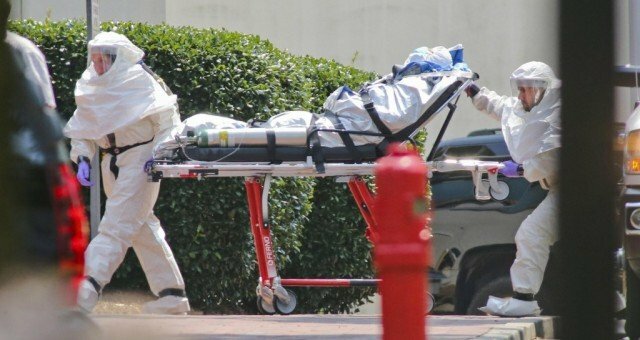 The screening system is being introduced after Thomas Eric Duncan, the first person to be diagnosed with Ebola in the US, died in Texas on October 8.